Janice Hardy is the award-winning author of The Healing Wars trilogy, including The Shifter (2014 list of “Ten Books All Young Georgians Should Read," shortlisted for the Waterstones Children’s Book Prize and The Truman Award), Blue Fire, and Darkfall from Balzer+Bray/Harper Collins and the author of multiple books on writing, including the bestselling, Understanding Show, Don’t Tell (And Really Getting It). She is the founder and owner of FICTION UNIVERSITY. Check out her website here. 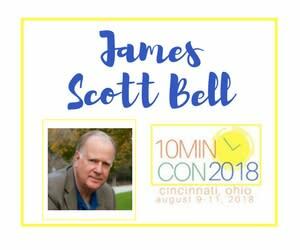 James Scott Bell is the #1 bestselling author of Plot & Structure and award-winning thrillers like Final Witness, Romeo’s Rules, Don’t Leave Me, Blind Justice, Deceived, Try Dying, Watch Your Back, and One More Lie. His short fiction has appeared in two anthologies, and he is currently at work on two series: pulp style boxing stories featuring Irish Jimmy Gallagher and the vigilante nun series Force of Habit. You can read more about James here. 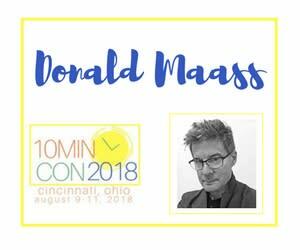 Donald Maass founded the Donald Maass Literary Agency in New York in 1980. His agency sells more than 150 novels every year to major publishers in the U.S. and overseas. He is the author of The Career Novelist (1996),Writing the Breakout Novel (2001), Writing the Breakout Novel Workbook (2004), The Fire in Fiction (2009), The Breakout Novelist (2011) and Writing 21st Century Fiction (2012). He is a past president of the Association of Authors’ Representatives, Inc. His website is here. 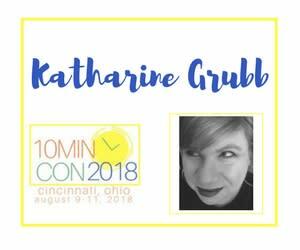 Katharine Grubb is a mom of five, homeschooler, baker, nature lover, comedian wannabe, blogger, and independent author. One of her biggest joys in life is meeting aspiring novelists with big dreams and showing them how to meet their goals. 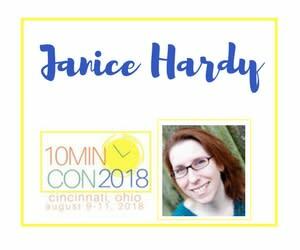 In the writing of her book, Write a Novel in 10 Minutes A Day, she created the Facebook group 10 Minute Novelists which has surpassed all of her expectations in creating a vibrant, fun community for writers. She and her family live in Central Massachusetts where they cheer for the Patriots.